Hashem planted a garden in Eden, to the east, and placed there the man whom He had formed. And Hashem God caused to sprout from the ground every tree that was pleasing to the sight and good for food; also the Tree of Life in the midst of the garden, and the Tree of Knowledge of Good and Bad. So Hashem God cast a deep sleep upon the man and he slept; and He took one of his sides and He filled in flesh in its place. Then Hashem God fashioned the side that He had taken from the man into a woman, and He brought her to the man. And the man said, “This time it is bone of my bones and flesh of my flesh. This shall be called Woman, for from man was she taken.” Therefore a man shall leave his father and his mother and cling to his wife and they shall become one flesh. They were both naked, the man and his wife, and they were not ashamed. Alam was puzzled and tried to work out this new thing he was seeing. This land had not been here the last time he led Nun and Tav to hunt the prey beasts. It was a new place, but it should not be. It was plants, fruits, good to eat, and many beasts. He was about to lead the two others in for an easy kill. The Imorg could come back to gather the fruits and berries. Then he signaled stop. There was a noise that was not a noise coming from no place. The noise was near a new beast but not coming from the new beast. The new beast was unlike anything Alam or the others had known. Alam signaled for stealth, for them to go back and wait while he moved forward. He was the bravest of the Morg and brought the clan much game. Now he was faced with what he did not know and his courage was greatly tested. He crouched forward at the edge of the trees and brush. He was predator but today he felt the caution of prey. He did not enter. The new beast was not Morg or Imorg but looked like both. Alam could not think it through. He was confused and curious. He decided to watch this thing more. One by one, each beast passed before the new beast and stopped. The new beast looked at the beast for a moment, then looked at a thing Alam could not see, a thing where the noise but not noise came from. The same noise came from the new beast and the hunter was startled. Yes startled, but he did not give himself away. He stayed silent and concealed, and he continued to watch. One by one, beast after beast came before the new beast who was not a beast. One by one, the new beast shook its head, looked at something that was not there, and made noises that were not noises. Alam was amazed that even predators were brought before the new thing, and yet they did not growl warnings or attack. They were as passive as the prey beasts, and the predator and prey beasts in this place were at peace, walking and lying side-by-side which was not the way of things in any land Alam had seen. The beasts continued to come. The last such beast brought before the new thing was not a beast at all, it was Imorg. Alam’s mate was Imorg which was the way of things with all the beasts. Each Morg mated with Imorg and the Imorg birthed young as the beasts did. Alam saw this was Imorg of his people but not one from his clan. The new thing looked and looked at the Imorg and the Imorg stared back frightened yet with a hint of the night lust in her eyes, a look Alam knew from his own mate Vav. The new thing finally made more not sounds, shook his head, and the other thing not seen also made not sounds. The beasts went their way into the trees and the brush as did the unknown Imorg. Then a strange thing happened. The new creature curled up on the ground in the middle of an open area and slept. No one of his clan would dare sleep in the open and be vulnerable to predators. Alam bit his lip in horror and yet remained silent in the face of what was not natural and known. The new beast was split in two yet there was no blood. The new beast did not scream and also did not die. The new beast became two new things. The brute hunter trembled in unaccustomed fear as he saw the one who were now two stand. They were now Morg and Imorg but unlike any he had seen in this travels. They wore no fur for warmth, but in seasonable weather, neither did the clan. The thing now Morg looked at the new Imorg and smiled. He made many, many sounds that were not sounds and what Alam could not see made not sounds as well. The Imorg even made these not sounds and she smiled at the Morg. Alam removed himself from the area with great silence and returned to where Nun and Tav were waiting. They made signs asking what he saw. Alam made the sign for taboo and forbidden and pointed to the new place with trees. He knew the other two were disappointed for they had expected easy prey, but Alam was the largest and he signaled moving back the way they came. They would find a different place to hunt and bring game to the clan. Alam would sign to the clan that this place was taboo and not for the clan. Bad for the hunt. He had seen one strange not beast become two living beings, a Morg and an Imorg. It was not this way for the clan or for other clans they had encountered. Yet in his dreams, he could hear the not sounds made by the new Morg and the new Imorg, and the sounds of what he could not see. He could hear the not seen thing as if it were making the not sounds to Alam. In the dream world, the not seen thing comforted Alam and gave him a new direction. The next morning, he led the clan the way he had seen in the dream and they found much game and fruit and they were satisfied and content. Today, on the Jewish religious calendar, Jews all over the world begin a new annual Torah cycle. Jews read through the Torah, the Five Books of Moses, each year on every Shabbat. Although I’m not Jewish, I privately read the Torah portion for each Shabbat. Today’s Torah Portion is called “B’reisheet” and encompasses Genesis 1:1-6:8. As I was reading, it occurred to me to attempt to blend what we know of the chronology of human pre-history with the Creation story. If the first Homo sapiens appeared roughly 200,000 years ago, and the first Cro-Magnons appeared between 35,000 and 10,000 years ago, when in that pre-history do you suppose Adam and Havah (Eve) would have been created (that is, if you are inclined to attempt to blend the two perspectives)? Here, I don’t suggest that Adam and Eve with the first two hominids ever, but rather that they (and their descendants) were uniquely made to fulfill a role as created in the image of God by Hashem. I’ve heard that in a particular Jewish viewpoint, what makes humans unique is our ability to speak, so I made it so my more primitive witness to the events in Eden could only use some form of sign language. This, strictly speaking, is most likely highly inaccurate, but I thought it would be an interesting way to depict the Creation event and the forming of man and woman. According to another Jewish legend, Adam, before Eve, was neither male nor female but an androgynous and unique being. Eve wasn’t created from taking Adam’s “rib,” but rather by God splitting Adam into his two component parts, male and female. Thus Eve was made as a human being literally corresponding to Adam. Female and Male. Oh, “Alam” is a rough transliteration of the Hebrew word for “mute” (and I’m sure my friend ProclaimLiberty will correct the mistakes I’ve no doubt made). I named everyone else using letters from the Hebrew alphabet. The terms “Morg” and “Imorg” to indicate “male” and “female” I borrowed from the 1968 Star Trek episode Spock’s Brain (which was horrible as was most of the third season, but it did illustrate a male/female schism which played into my story). Thanks. Funny the little ideas that pop into my head. This would play into a view of HaShem as an alien intruder conducting genetic engineering of earth’s species, including humans, to supplant the native species. Actually, Hashem created it all of course, but he created modern man to be unique among all of the other creatures including the other hominids, which were going extinct. I had read that some modern people have a bit of Neanderthal DNA and my story might explain a few things. Of course, it’s just fiction. 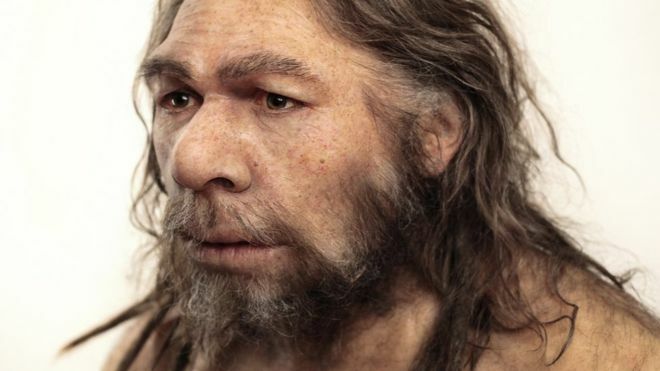 Well, of course some moderns have traces of what is deemed Neanderthal DNA! The mistake most make is in thinking those Europeans were actually a primitive species who preceded the so-called Cro-Magnons, rather than simply another minor strain of the family of Adam created by HaShem. There’s a lot of mistaken 19th-century anthropology still afflicting its scientific descendants; and who knows how long it will take for the scientific establishment to re-evaluate the data in light of new finds yet to be discovered and thus to catch up with the real history of human development? In doing the research for my small tale, I discovered that science believes modern man first appeared 200,000 years ago. It’s hard for me to believe that Adam and Havah were created by Hashem that long ago, but I find it equally hard to believe that Hashem created the Earth only about 6,000 years ago. If we can assume, for the moment, that much of our scientific evidence for an old universe, an old Earth, and the fossil record involving hominids is more or less accurate, where in that history do you think Hashem created Adam and Havah? I realize that may be an unanswerable question, and perhaps in the great scheme of things, it doesn’t really matter, but since I’ve written on the topic (fictionally), it might be illuminating to explore the topic further. All issues related to dating of terrestrial objects depend on a fundamental assumption about initial conditions of composition, as well as some questionable assumptions about the linearity of radio-isotope decay rates. Data does exist that challenges both those assumptions. The linearity assumption also afflicts the astronomical estimations. 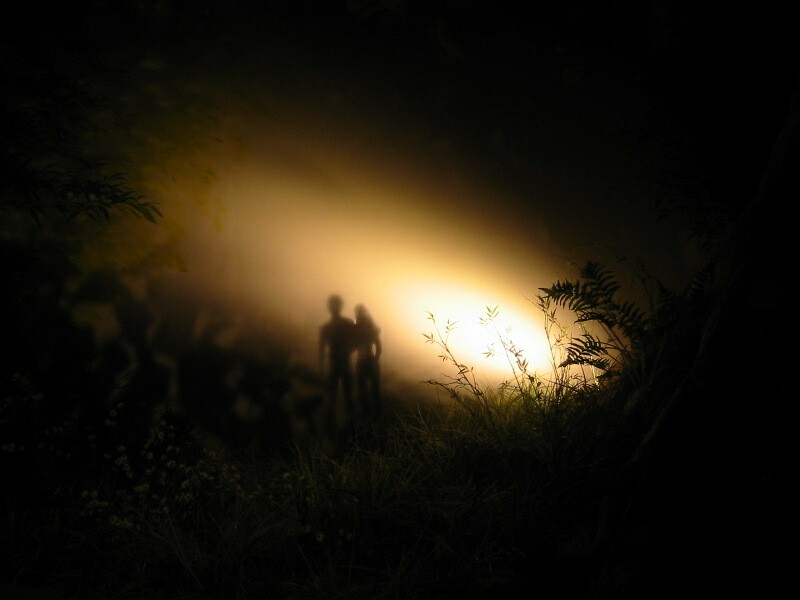 On a philosophical basis, one must consider the question about whether HaShem made a mistake in creating a world that goes along for billions of years, and perhaps 200,000 years of humans living and dying, before He decides to interfere with it and create a pair of humans whom He warns about behavior that will cause them to “begin to die”. Given that the descendants of this pair managed within only a few centuries to merit the destruction of a worldwide flood that He initiated, one must wonder why such destruction wasn’t also visited upon the entire planet many times over during all those thousands of years. What kind of a God makes such mistakes, and doesn’t figure out how to avoid it? What kind of a God is concerned enough to warn one human pair about a threat to their lives, after thousands of years not caring at all about the deaths of who-knows-how-many? This is not the moral God of Genesis known as HaShem. What’s more, if green plants were created in the third sequence of darkness and light representing a “day” of creation, it is only reasonable to infer that the darkness preceding the light of the next day had better not have been very long, or all those photosynthetic plants would have died. Similarly, there is a lot of interdependence in the biosphere that could not bear long periods where one form or category or genus existed and the other did not. There are many questions to be considered about how hypotheses and theories of origin and development are derived from scant data, and philosophical presuppositions are foundational. One of them that is absolutely critical is the choice of viewing the cosmos as a closed, entirely predictable deterministic system, or acknowledging that the system is open to inputs from somewhere outside the observable system. It is much more convenient to do science in the former, and harder to do it in the latter because of its native uncertainties. But only in the latter can miracles occur, or can a transcendent God exist, or can creation be managed in localized non-linear time-dilation fields in discrete phases that are not directly connected to all other cosmic events. Your story above invokes the moral questions about what kind of a God is envisioned, if many millennia of proto-human development is nothing more than a disposable coincidence — irrelevant to the genetic engineering which would produce a desirable human species. I suggest that there are better ways of resolving the conflict between the hypotheses of current science and its interpretation of data, and the message purveyed by the Hebrew scriptures. Some of them present a challenge to scientists to do better than they have done so far. Now I’m intrigued. Do you know of any better ways of resolving the conflict? I’m not being contentious. I really want to know. Well, I posed some questions for consideration above, along with some suggestions about philosophy and physical science that address certain uncertainties. Have you ever read Phillip Johnson’s “Darwin on Trial”?, or any of the alternative science supporting “Intelligent Design”? These do not offer definitive answers to resolving this conflict, but they do point in a direction where science might find such a resolution that accommodates all the data rather than only that with which the current science establishment feels conforms with a materialistic philosophy. In some ways, it is a matter of revisiting the notion that Will Shakespeare proposed in Hamlet, that there is more in heaven and earth than dreamt of in [Horatio’s] philosophy. Nope, never read it, but my public library system has a couple of copies, so I just put in a request. Thanks for the tip. To further state a point, I just read this review for “Darwin on Trial” at Amazon: “In his own era, Darwin’s most formidable opponents were fossil experts, not clergymen. Even today, according to the author, the fossil record, far from conclusive, does not support the presumed existence of intermediate links between species.” What if each “hominid” species existed independently of one another. That is, they, like all other life, were created by Hashem, but were the same as all other beasts. Even chimpanzees and apes can use rudimentary tools. So let’s say when Hashem created Adam and Havah, he created the first two hominid-like beings who were truly human, created in the image of God, and having a soul. That we find hominids in the fossil record is really well documented, so they existed. The question is whether or not they were meant to become human or to eventually become extinct like so many other species that rose and fell before human beings existed?